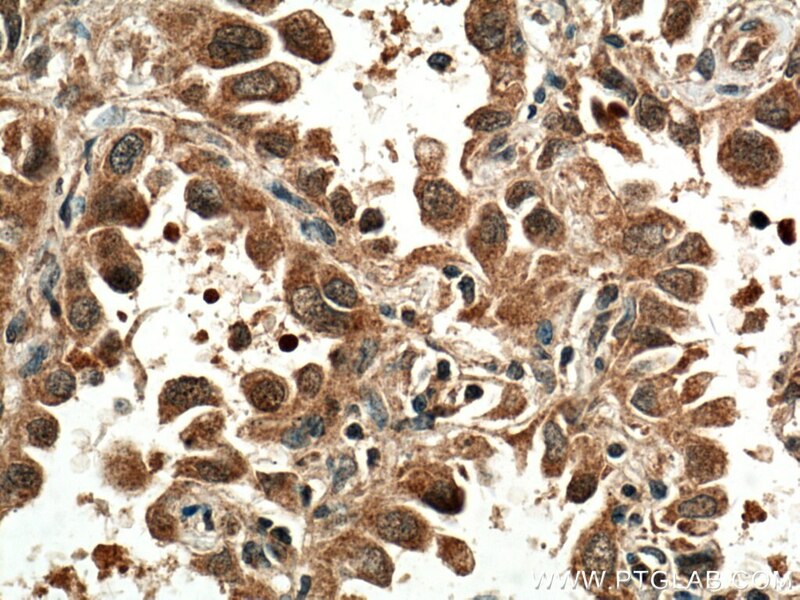 Human red cell acid phosphatase (ACP1) is a polymorphic enzyme closely related to cytosolic low molecular weight acid phosphatases, a protein family broadly conserved among eukaryotes. It catalyses the transfer of phosphate from phosphate ester substrates to suitable acceptor alcohols such as methanol and glycerol. 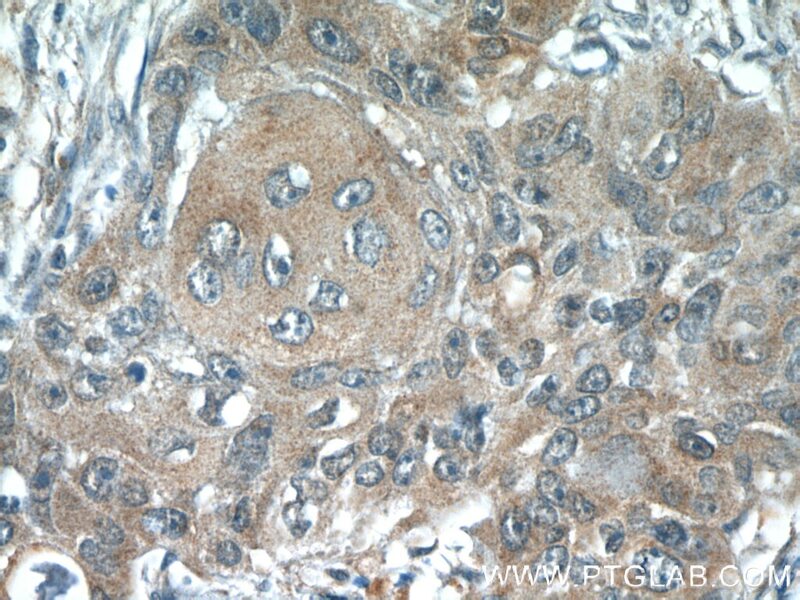 This protein has 3 isoforms produced by alternative splicing. 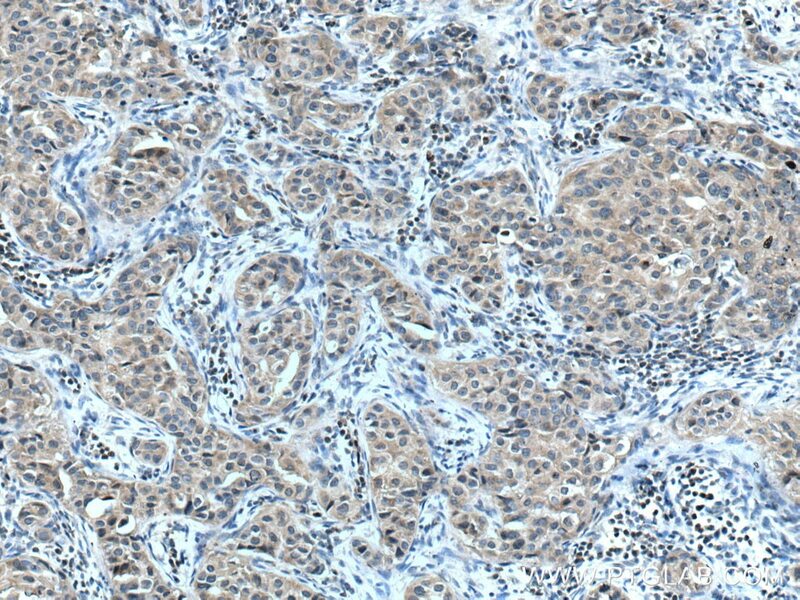 Immunohistochemical analysis of paraffin-embedded human breast cancer tissue slide using 22214-1-AP (ACP1 antibody) at dilution of 1:400 (under 10x lens) heat mediated antigen retrieved with Tris-EDTA buffer(pH9). 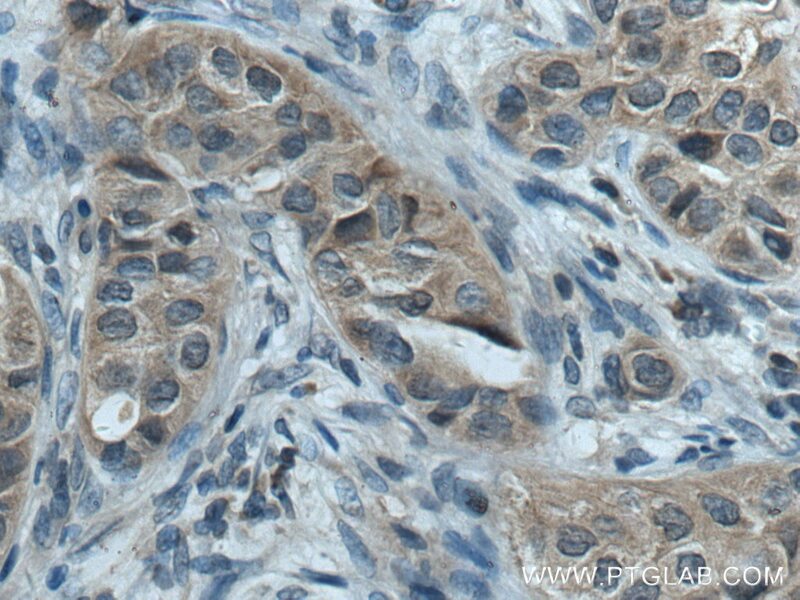 Immunohistochemical analysis of paraffin-embedded human breast cancer tissue slide using 22214-1-AP (ACP1 antibody) at dilution of 1:400 (under 40x lens) heat mediated antigen retrieved with Tris-EDTA buffer(pH9). 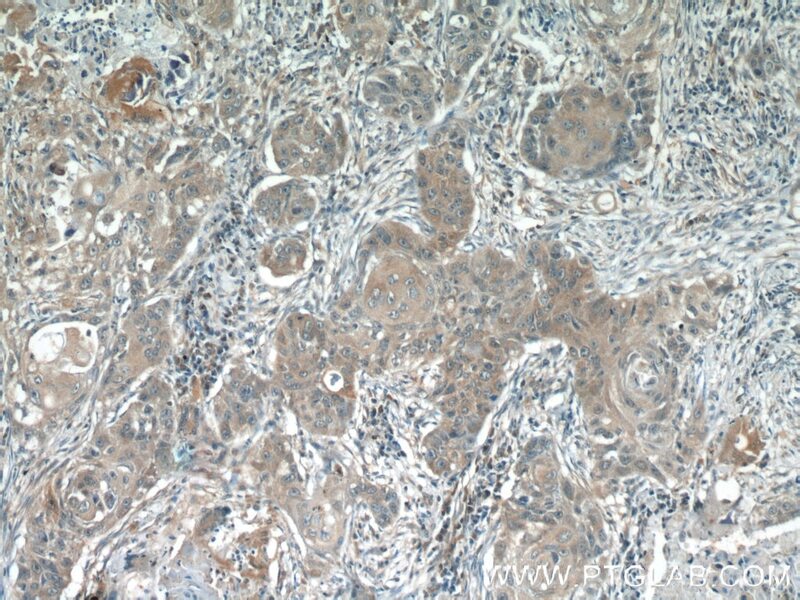 Immunohistochemical analysis of paraffin-embedded human lung cancer tissue slide using 22214-1-AP (ACP1 antibody) at dilution of 1:400 (under 10x lens) heat mediated antigen retrieved with Tris-EDTA buffer(pH9). 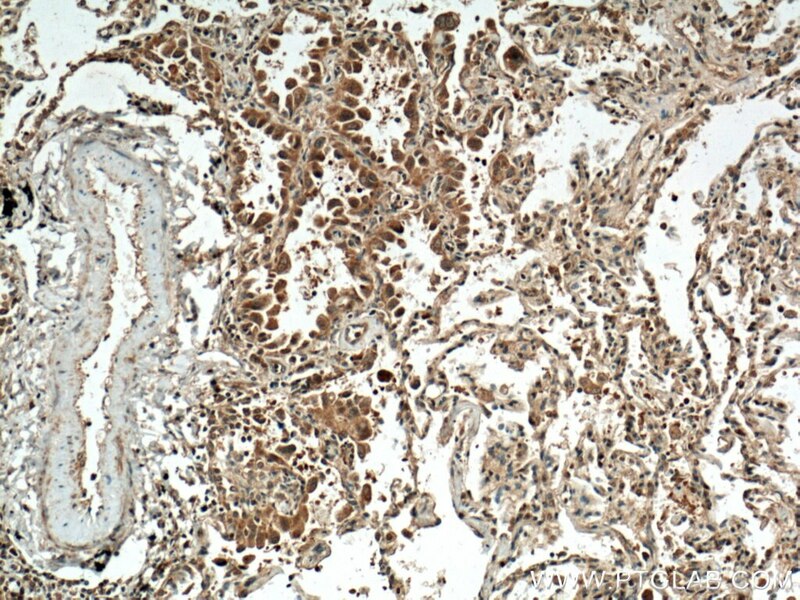 Immunohistochemical analysis of paraffin-embedded human lung cancer tissue slide using 22214-1-AP (ACP1 antibody) at dilution of 1:400 (under 40x lens) heat mediated antigen retrieved with Tris-EDTA buffer(pH9).